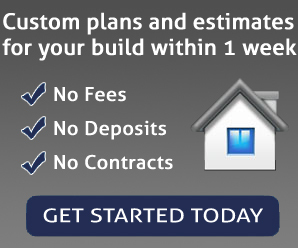 Cassio Builders is an "on your lot" custom home builder. Whether you are building your starter home with the bare essentials or a luxury home with all the lavished amenities, Cassio Builders is the right choice for you. With homes priced from the low $100,000 to over $750,000 and square footage from 1000 to 8000 or larger, we have the resources and experience to serve any client. Each home is tailored to the individual wants and needs of every client and their respective budget. Every custom home is built with pride and a commitment to excellence. No contracts. No deposits. No hassles. No stress. That's right, we are so certain we can build you a custom home that meets your wants, needs and budget that we will do all of the leg work without the pressure of a contract or deposit. We will help you select or design a home plan, choose features and finishes and estimate the project all before committing to final plans and contracts. If we are unable to help you build on your budget then we all walk away friends without any financial expenses on your part.